High-pressure hose Longlife 400, 10 m, ID 8, including rotary coupling 63880830 https://www.kaercher.com/ae/accessory/high-pressure-hose-longlife-400-10-m-id-8-including-rotary-coupling-63880830.html 10 m high-pressure hose Longlife 400 (DN 8) with rotary coupling, two layer high-strength steel wire reinforced. Connectors at both ends. M 22 x 1.5, with kink protection. 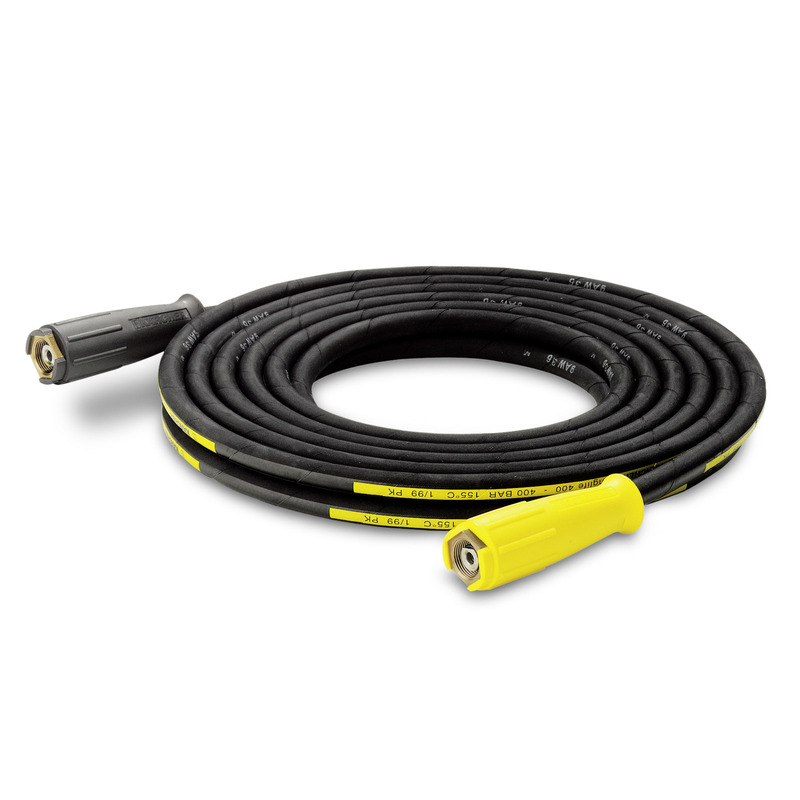 10 m high-pressure hose Longlife 400 (DN 8) with rotary coupling, two layer high-strength steel wire reinforced. Connectors at both ends. M 22 x 1.5, with kink protection. 10 m high-pressure hose Longlife 400 (DN 8) with rotary coupling, two layer high-strength steel wire reinforced. Connectors at both ends. M 22 x 1.5, with kink protection. Further data: DN 8/155°C/400 bar.